It’s been a little over a year since white supremacist hate groups marched through the streets of Charlottesville, chanting slogans such as “Jews will not replace us,” “whose streets, our streets,” and “white lives matter.” This terrorist event led to one girl’s death and many others being injured. Since this event, many white pastors (or at least those who addressed it) expressed disbelief that racism still exists. Because of such hate crimes and terrorism, it’s easy to think that such behavior is an individual problem—that people do bad things because they are bad people. The world is filled with social systems—the family, the school, the workplace, and more. Even racism and sexism are complex social systems. Every social system comes with a set of learned behaviors and paths of least resistance, whether we’re conscious of them or not. Take high school. If you made friends with the unpopular kid or did things your way, you’d face severe pushback from your other peers (hence the phrase peer pressure). But if you followed the social norms of high school, chances are you’d behave like a brat. The best illustration for these social systems that many sociologists use is the board game Monopoly, as explained by Allan G Johnson in his book “The Forest and the Trees.” His point is that, if you play Monopoly the way it’s meant to be played, you will behave like a greedy monster even if that’s not who you are in everyday life. If we were to apply the non-individual mindset to patriarchy and white supremacy, we’d see a long, painful history where racism and sexism were deemed “normal.” Christianity in particular has a track record of intolerance. The movement started out with good intentions, but then went horribly astray once it grew in popularity throughout Europe. Look at the crusades. Look at the colonization era. Look at the deaths, exile, and (even today) dehumanization of indigenous peoples. Look at slavery. Look at the Jim Crow laws. Look at the boarding schools set up to erase indigenous culture. Where were the Christians during this time? All across the board. Many supported these movements—even participated, as the boarding schools illustrate—while others looked the other way, indifferent. Only a handful spoke up against the demonizing and dehumanizing of peoples. We look at the modern-day hate groups, KKK members, and hate groups and think “wow, these people are assholes.” But only fifty years ago, there was controversy over whether or not it was right for black and white people to be anywhere near each other. Only a hundred years ago, women got the right to vote. Only three years ago, they legalized gay marriage in America. Meanwhile, white supremacy lives on. The patriarchy lives on. Homophobia lives on. Bigotry doesn’t always involve a hate crime. It isn’t always taking away birth control or bombing a church/mosque or equating immigrants with criminals—these are just the extreme examples. Sometimes bigotry is using Jesus’ name to make supremacy look reasonable. Sometimes bigotry is likening speaking up with complaining. Sometimes bigotry is demonizing those who don’t share your opinions. Sometimes bigotry is believing you’re better than everyone else. Sometimes bigotry is ignoring someone’s needs in favor of your own. Sometimes bigotry is deciding not to care. Ask questions. Watch patterns of behavior and ask why we’re okay with it—or even if we should be okay with it. Donate to causes fighting for human rights. Ask lawmakers why they support policies that do the people more harm than good. Vote for those who’ve shown that they intend to view everyone—regardless of faith, gender, ethnicity, citizenship, or orientation—as equals. 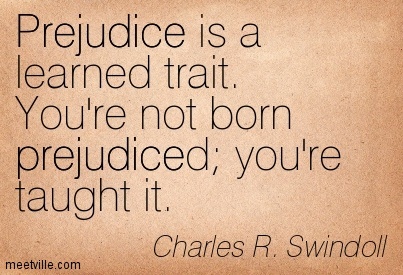 Sadly, bigotry is a complex sin to conquer, and chances are we won’t do it in this generation. And with so many in the world getting behind xenophobia and supremacy, it looks like we’ve got a lot of setbacks to deal with before we can even start. But it’ll take all of us to get this done, and I do believe we can do it even if I don’t have proof. If we don’t start the fight against hate now, we will regret it forever. We’ll never be free until we end bigotry. Next PostMabutay’s Lyric has been launched!